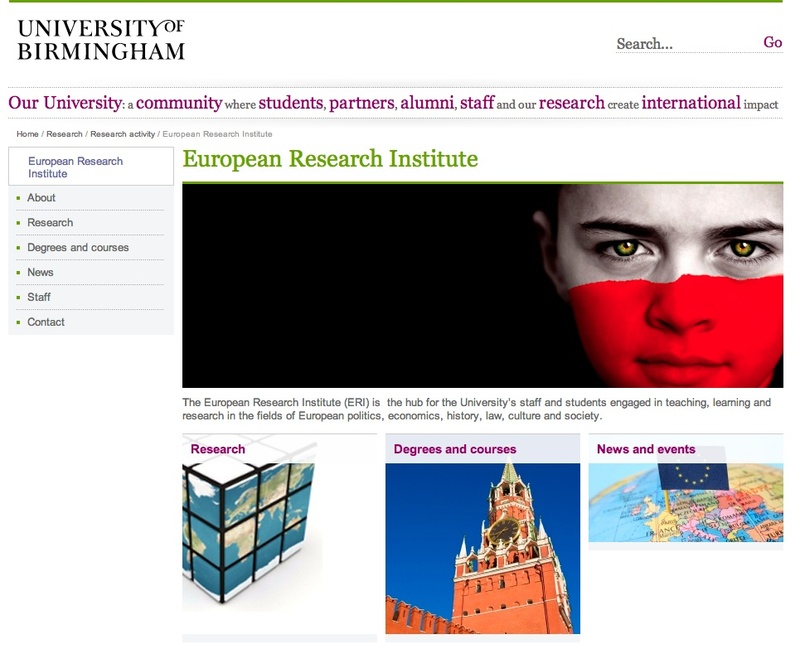 The European Research Institute (ERI) is a National Centre of Excellence related to the University of Birmingham. It brings together expertise from two research centres (the Institute for German Studies – IGS- and the Centre for Russian and East European Studies – CREES), and the department of Political Science and International Studies. Its staff and students are mainly devoted to European Studies and relates issues such as identity and citizenship, politics and society of the Soviet Union and its successor states, European security, German politics, economics of transitions, etc. The Institute website is completely open and free and provides a considerable amount of info about the Institute (activities, programs, projects, staff and study opportunities). It is perfectly integrated with those of IGS and CREES as structure and contents. Nevertheless, only a limited number of working papers, focused on the Institute’s research interests and provided with the related abstract, is available in pdf or word format. Instead, users can find a rich section with external links organized by topics. For some items printer-friendly versions are provided while for other records only annotations are retrievable. Updating process is mainly limited to the Institute’s activity in relation to new research reports or upcoming events. Material is organized into clear categories and navigation paths. Simple navigational tools are also provided.